Are you getting tired of clothes that come out stiff from the dryer? Dryer sheets are one option and you can also use a store bought liquid fabric softener to use with your washer. 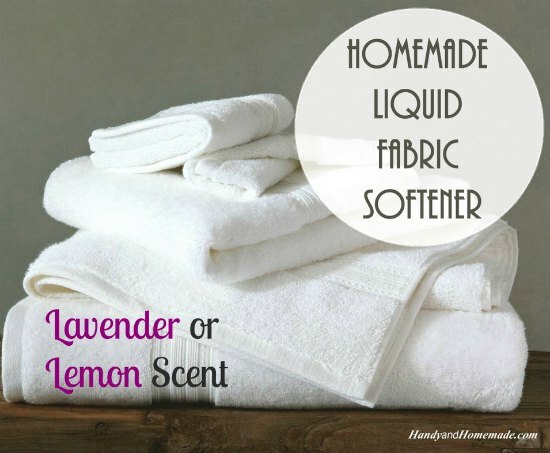 A better option if you are not fond of chemical-laced products is to make homemade liquid fabric softener. Most of the ingredients that are used to make a homemade liquid fabric softener are completely natural. The scent comes from the use of essential oils. You will use white vinegar and baking soda as the base ingredients. The use of a mixing bowl is all that is needed to blend the ingredients. The best thing about a homemade liquid fabric softener is you can make a new batch whenever you run out. There will be no need to go to the store or wait for ingredients to settle. You can use your fabric softener immediately or keep it on a shelf until your next load of laundry.